The 46-6 demolition job that Saracens did on Clermont Auvergne in last April’s Heineken Cup semi-final felt like a seismic shifting of Europe’s tectonic plates. It was a day when Sarries intensity – symbolised by Jacques Burger’s 28 tackles – steamrolled their illustrious French opponents into the Twickenham turf. A month later however, and the rout was a distant memory, with the North London club going on to lose two showpiece finals in the space of a mightily sobering week. A response is expected this time out and if Saracens are to be bandied about in the same sentence as Toulon or Leinster, they need a European star to place above the crests on their shirts. The first step on their road to redemption is a replay of that semi-final against a Clermont side. The continental giants may well be ‘the best team never to win a Heineken Cup’ , but last year’s humbling at Sarries’ hands hinted at their fallibility, and they go into tomorrow’s clash off the back of a 51-21 humbling at Bordeaux – meaning they are vulnerable as never before. Can dark horses stay the course? Much of the talk ahead of the European curtain being raised has centred on how the big dawgs are expected to deliver, a fact that has kept the spotlight away from Pool Four – a group which may yet unearth one of the competition’s dark horses. Glasgow and Bath have both started their domestic campaigns in spritely fashion. Gregor Townsend’s Warriors sit second after five wins from their opening six games, including a 22-20 downing of Pro12 champions Leinster, with the eye-catching displays of Fijian scrum-half Niko Matawalu a particular highlight. Meanwhile, Bath have provided some notable performances of their own since the start of September. A record-breaking 45-0 thrashing of Leicester was quickly followed by the equally important scalp of Saracens, as Mike Ford’s men have provided an added intensity against the league’s top teams that has helped them to build on the promise of last season. The form of both sides bodes well for their clash at Scotstoun Stadium tomorrow. Toulouse’s well-publicised malaise – save for last weekend’s impressive victory over Toulon – coupled with Montpellier’s erratic displays in Europe, means that Pool Two’s British contingent will be seeing qualification from this group as more than achievable. Historically, neither side has enjoyed much success in Europe’s elite competition in recent years – Bath’s 1998 success is almost tainted in sepia, while Glasgow perpetually have struggled in the Heineken Cup. Advancing to the quarter-final stage should be the minimum target for these two teams. Indeed, RW’s Russ Petty used a range of statistics to predict that the Warriors may well be worth an outside bet to lift the new trophy in May. We’re only halfway through October, but already you could line the Stade Mayol with the amount of newspaper pieces written on Leicester’s early-season travails. 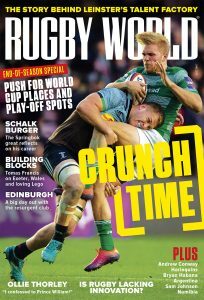 Richard Cockerill’s side find themselves in an unfamiliar eighth position in the Premiership coming into the European double-header, a statistic which puts their quest to qualify from a difficult Pool Three – Toulon, Scarlets and Ulster – into perspective. 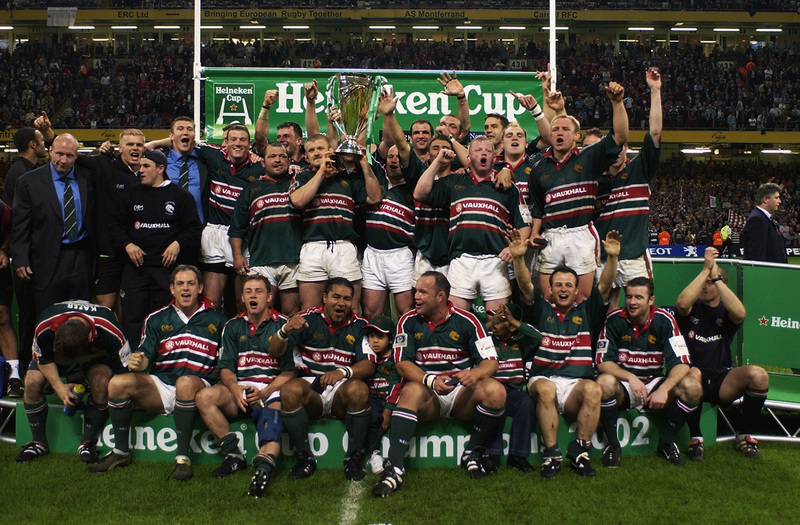 For the Tigers, it’s been 12 long years since they lifted the second of their European titles, and in truth, they’ve looked unlikely to add to that tally since a 19-16 defeat to Leinster in the 2009 final. Their problem in recent years has been failing to secure a home berth in the quarter-finals, having gone out at that stage in three of the last four tournaments. Leicester are an imposing prospect at Welford Road, but they do not often offer the same threat on the road – a win at home to Ulster tomorrow night is pivotal to their hopes in the pool stages. The Tigers are not the only team whose European stock has plummeted in recent months. Four-time champions Toulouse suffered five losses on the bounce for the first time since 1962 earlier this campaign, including defeat to newly-promoted La Rochelle. They may be the most decorated side in Heineken Cup history, but if their early-season displays continue, they could be bowing out and sending Guy Noves into retirement. Can Sexton dominate the Saints again? 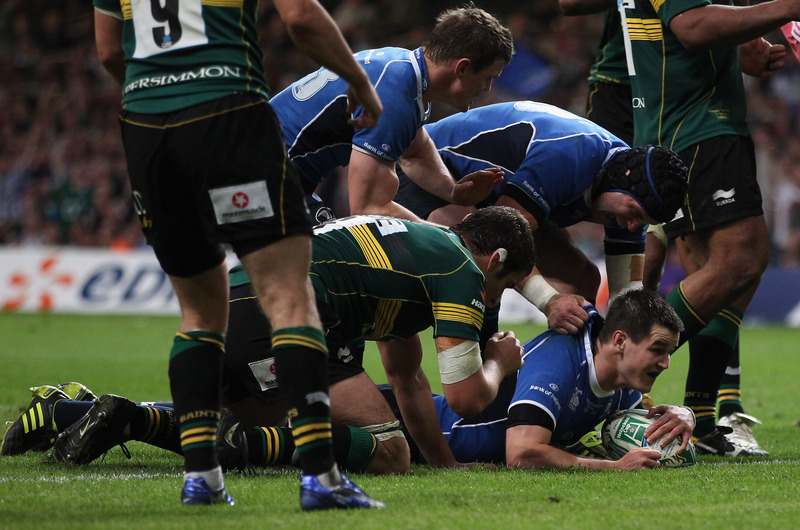 In the 2011 Heineken Cup final, Jonny Sexton produced a virtuoso attacking display to help Leinster win a stunning European crown, terrorising the Northampton defence with probing runs that ended in two tries. Stephen Myler, his opposing number on the day was powerless to stop the turnaround. Tomorrow evening, Sexton and Myler will lock horns once again, but in vastly different circumstances. Sexton is now plying his trade on the continent with Top 14 outfit Racing Metro, who have endured a mixed start to the Top 14 season – five wins and four defeats from nine games. The success he enjoyed as part of Leinster’s European dynasty has been exchanged for a shot at French glory and no little riches, but there is unrest in the capital, with their inconsistent displays soured further by the airing of dirty laundry from head coach Laurent Labit over his Welsh stars. Myler, on the other hand, has matured in the East Midlands, becoming a figurehead in Saints rise to the summit of English rugby. His ability to control a game and then influence it with a try-making pass have seen him secure the fly-half berth outright at Franklins Gardens, while some have touted him as a possible viable option in England’s number 10 jersey for the upcoming Autumn Internationals. It will be an intriguing sub-plot to see who can edge the battle of the fly-halves tomorrow.